Membership Night is tonight (Nov 5th) from 5-8 pm! 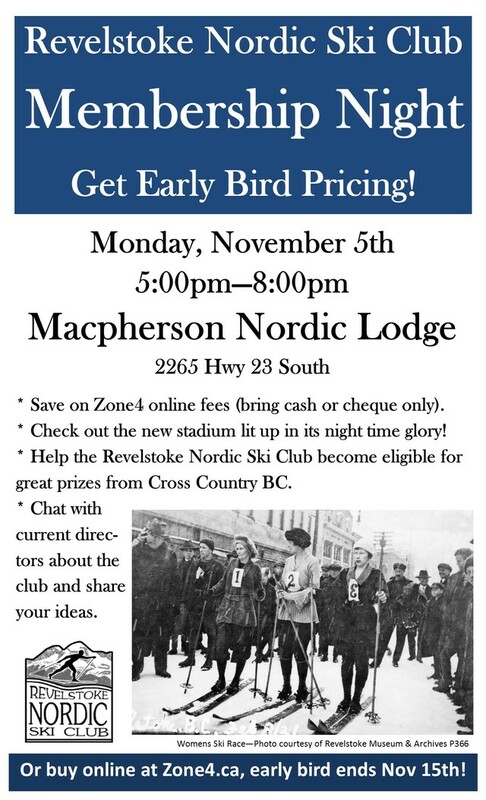 Come out to the MacPherson Nordic Lodge to get your season's pass at early bird rates. Also save on online fees. Cash and cheque only. Buying your pass before Dec 1st also puts the Club in the running for some great prizes from Cross Country BC. We are in a tight race against other similarly-sized clubs to get the largest percentage of our membership signed up by December, so help us out by buying your pass early! If you can't make Membership Night, you can get your pass anytime at Zone4.ca. Early bird rates end November 15th.